A Sarnia man is charged with arson in connection with a fire Friday afternoon at a multi-residential complex on Kathleen Avenue. Cst. John Sottosanti said officers were called to a townhouse unit on Kathleen Avenue near East Street at around 3 p.m., to check on the welfare of a resident. Sarnia Fire and Rescue Platoon Chief Brad Allen said 15 firefighters from three stations extinguished the blaze, and no injuries were reported. A unit appeared to be gutted. Cst. Sottosanti said witnesses told police they saw a man run from the scene, and officers located and arrested a suspect just before 3:30 p.m. in the area of Carleton place and Ross Avenue. 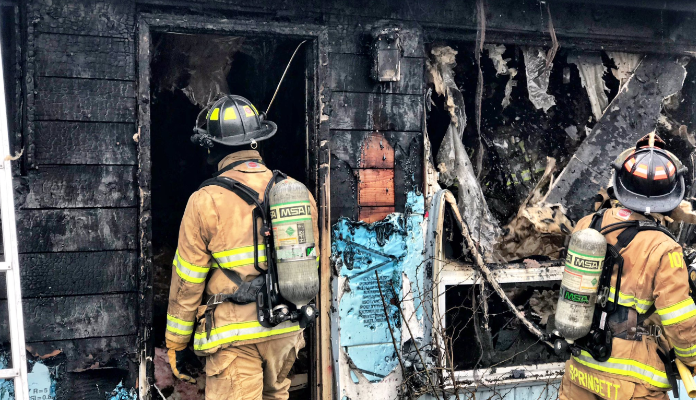 Brandon Lee Williams, 25, faces one count of arson disregard for human life, four counts of arson damage to property, and one count of breach of probation. He was being held in custody awaiting a bail hearing.